I bought a bunch of plums on sale at the market, then froze them all in hopes that they would make delicious smoothies, and they did! This recipe came out amazing, and it looks even better! Add about 1 to 2 cups water for blending, and then blend together! The plums and bananas give this smoothie an extra sweet taste, and the cucumber and spinach really mix well together. 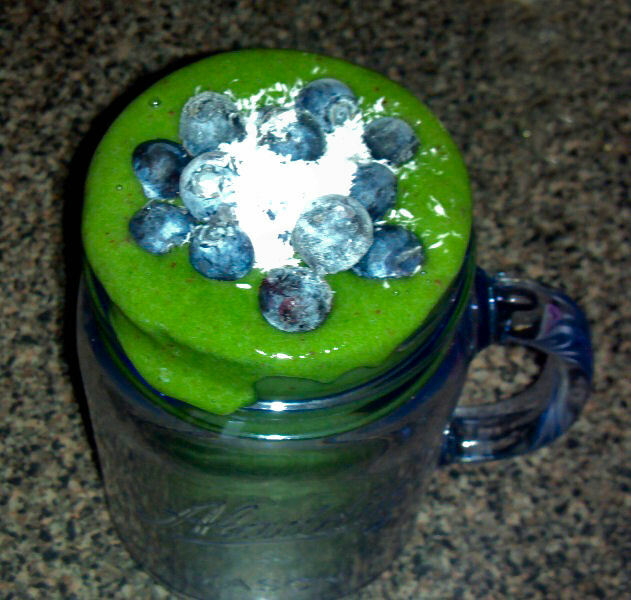 Top with fresh or frozen blueberries, coconut or whatever else you have laying around. Enjoy! 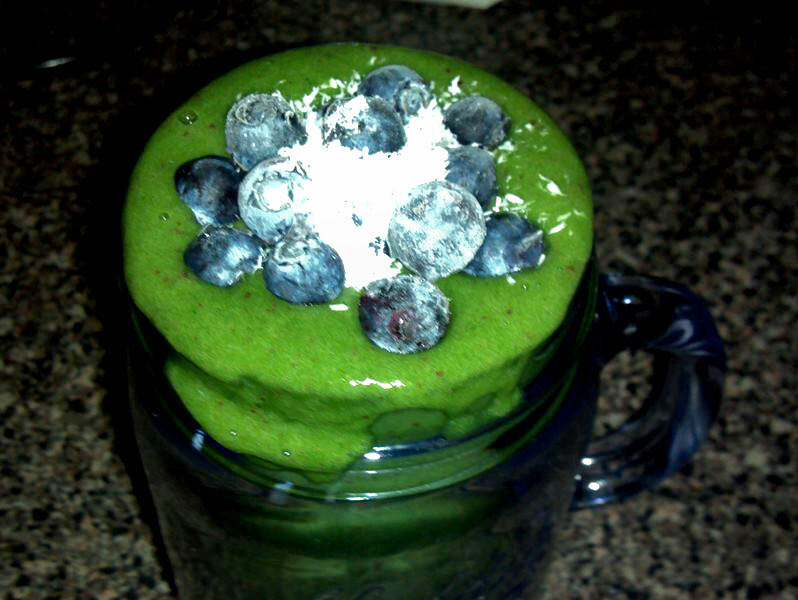 Overflowing with green healthy goodness!